Situated in the village of Barbarano Terzi-Martinengo Palace was built in 1566 by order of the Marquis Sforza Pallavicino, leading exponent of the Republic of Venice. The building, with its severe and strict forms, also featuring a watchtower, almost has the appearance of a fortress, even if the large sloping garden, with fountains and divided into two sections, softens the overall vision. 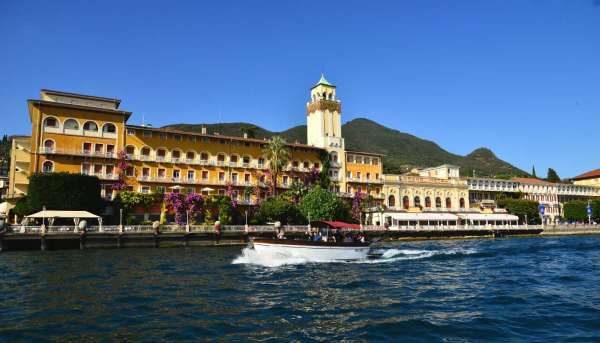 The complex is formed by four buildings connected together; the first is made up of only one floor and the ground floor, then there is a wing overlooking the lake, a building with two floors and a second wing which, like the first, juts out into the lake basin. The external decoration appears on the other hand characterised by mock square blocks and by a ledge on which are grafted the shelves in elongated form. A beautiful porch supports the Belvedere terrace and the many mythological statues that decorate part of it. Internally to emphasize the presence of the two living rooms that occupy the first floor in the second building; the first is characterised by a beamed ceiling, while the second is characterised by the presence of large windows and frescoes from the eighteenth century. On the ground floor of these two buildings, the rooms are inserted at a time before the service areas, kitchen and dining room, all vaulted. The third building is used as a house, characterised by the main floor, although the most beautiful rooms are located in the fourth building. 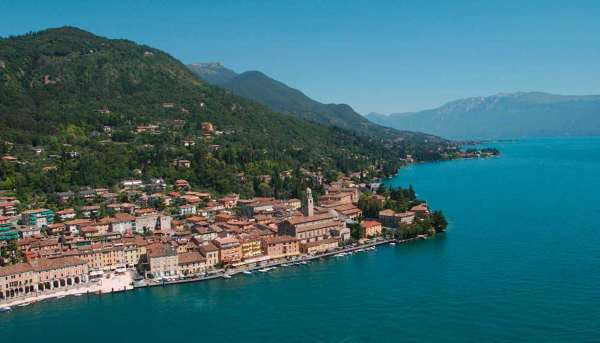 We will leave from Salò and you will have the chance to admire this historical place from the privileged position of the lake. We will leave from Salò, sail out through the Gulf in direction Porto Portese, a nice fishermen’s village of our recent past. 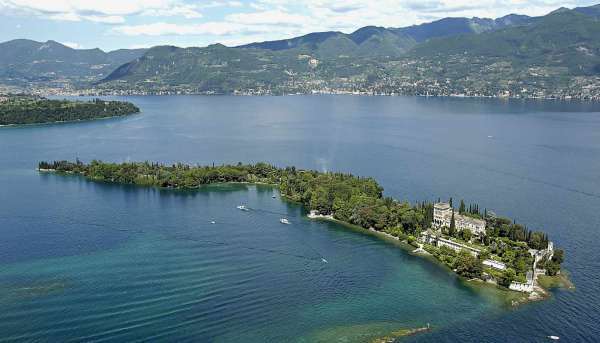 This tour is composed of itinerary 1 plus the navigation through the renowned small town of Gardone Riviera. 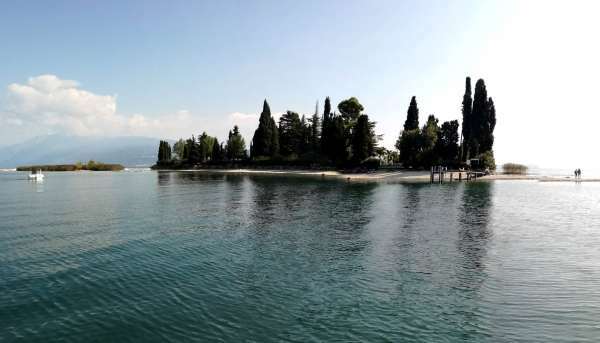 During this tour we will sail close to the main Isles of the lake: Garda Island and San Biagio Island (better known as Rabbits Island).